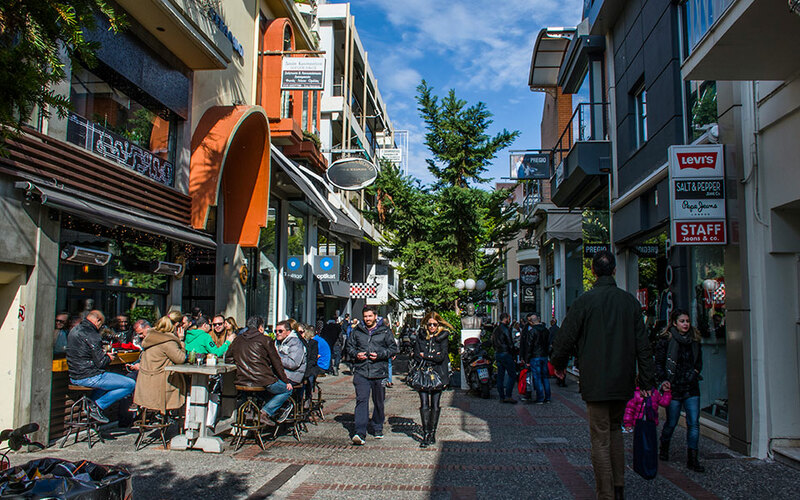 The pedestrian streets in the center of Halandri are perfect for a casual Sunday stroll. 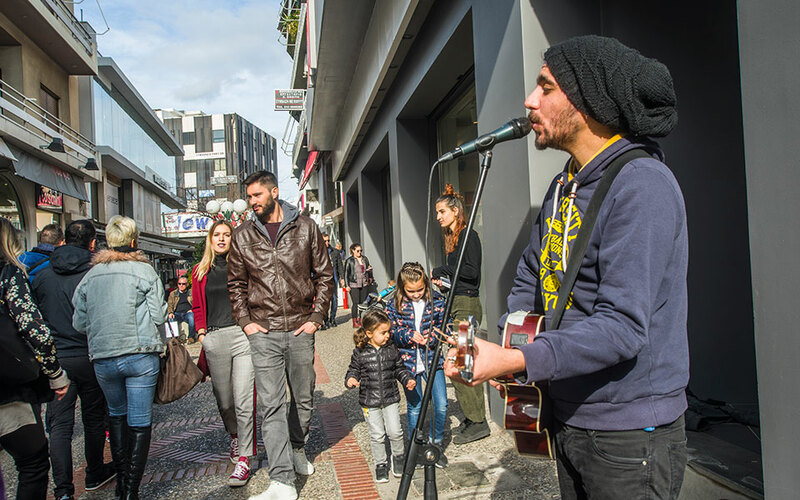 On Sundays, Athenians flock to the northern suburb of Halandri for decadent meals and mingling. 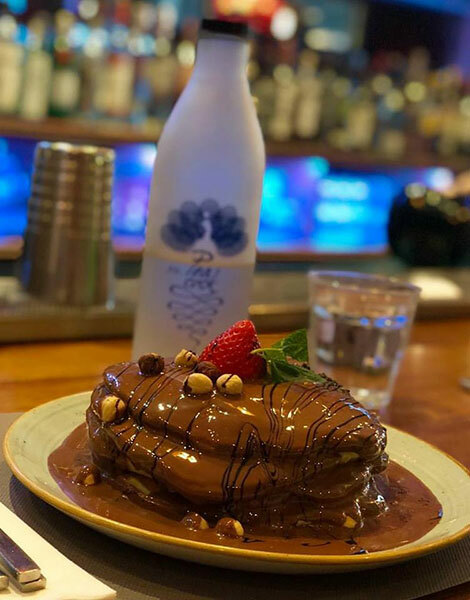 Alcohol, brunch, burgers, cocktails and comfort food. Those are the ABCs of the up-and-coming suburb of Halandri. To make things clear, lets also add a D for decadence. 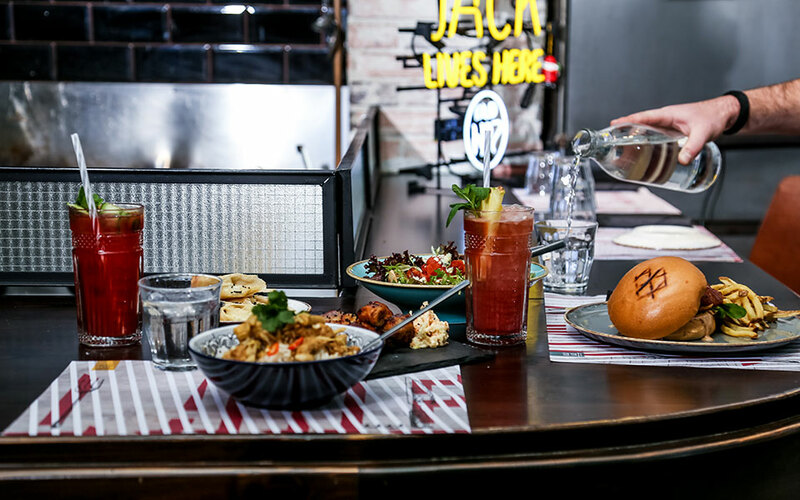 Halandri is the perfect suburb to spend your Sunday in; it’s all about combining your favorite foods and drinks to create a meal your mother would never approve of. The northern suburb is only 22 minutes away from central Athens via the Line 3 of the Metro (the blue line). Still, maybe because it takes longer by car, a day in Halandri does feel a bit like going on an excursion. Lots of pedestrian streets around the main square and the church of Aghios Nikolas invite you to casually stroll through the neighborhood. People of all ages meet and mingle in Halandri, creating a happy atmosphere. While there isn’t tons to see in the form of ancient sites or historic architecture, there is loads of excellent window shopping, and some of the best people watching in Athens. Just a few years ago, entertainment here was mainly of the mainstream, bar on the corner, Greek music playing, nondescript style that mainly catered to locals. In the afternoons, jacket-clad men and women from nearby big company buildings would show up looking for coffee. Today, the locals and the area’s office workers mingle with people from all over Athens who have chosen Halandri as the meeting point of the day. 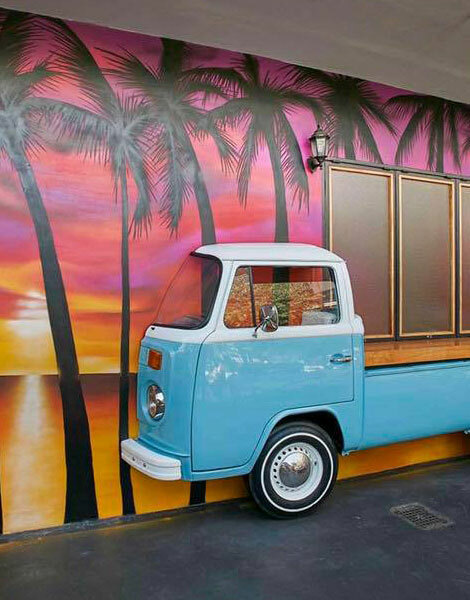 Parents with small children, retirees and hipsters alike create a colorful and happy hive of activity. The most dedicated fans might still be the young professionals, but on Sundays, they dress down in polo shirts. If your stomach isn’t growling for food after a stroll through the center of Halandri, where eateries on every corner and in every stoa (arcade) put out alluring aromas, spend some time with friends at the Mindtrap escape rooms. You’ll have to stay focused if you want to solve the riddles and find your way out of their seven themed rooms. Remember, Sundays are busy, so it’s best to book the room you want to try in advance. For something more relaxed, pay a visit to Chrysothemis Gallery – said to be the first art gallery in the Athenian suburbs, who mainly put on solo exhibitions by local painters. If, on the other hand, Sunday is your movie day, you’re in luck. The little Cine Athina Piscines Ideales is a cinema out of the ordinary. In the summer it is open-air, and in the winter you enter the modern industrial-style theatre through a space that feels like something between an interior design store and a cozy cafe – with a fireplace burning in the corner. The main event of your day in Halandri, however, is the meal. With so many excellent restaurants, including gourmet options, the only hard part is agreeing on where to go. But many of those who come here on Sundays do so for brunch. Below are some of your best options. On Katsoulieri Street, you’ll find the trendy Mr Peacock. Popular during the week as an after-hours spot for workers from the offices nearby (who will also often swing by on the weekends in the company of friends or a date), the all-day bar restaurant has made a name for itself as one of the hippest places one can meet in Halandri… to eat pancakes. While the cocktails and savory food are very respectable, pancakes are a staple at almost every table. Meanwhile, at 30 Something, the standard order is cocktails and pizza. 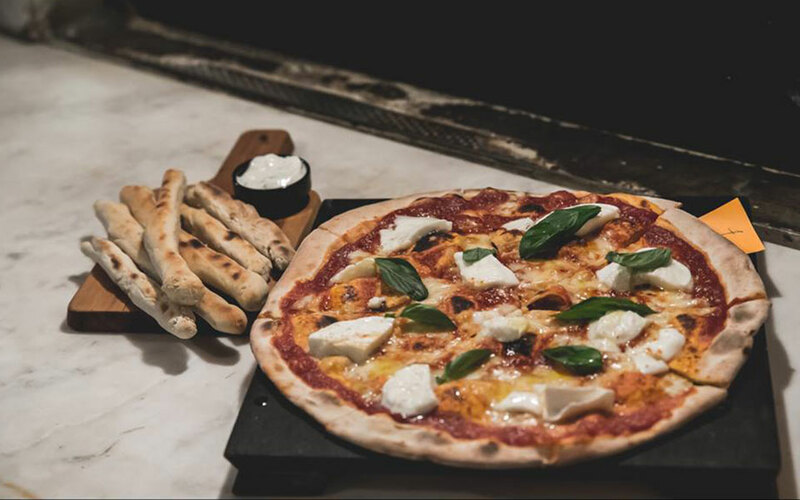 It’s not purely a pizza place; the menu offers many other Italian dishes such as classic risottos and pastas – and the quality is quite high, but who could argue with a pizza-cocktail combo? Manager Spyros Davios recommends washing down the Don Christo pie, made with fresh mushrooms and prosciutto, with a sweet and refreshing Melon Julep or Lychee Martini. No matter what your favorite food is, chances are that Penny Lane makes an awesome one of those. The sign outside says “comfort food”, and while that might mean different things to different people (anything from mac and cheese to a roast, to buttery croissants or chocolate desserts), this restaurant manages to cover a wide spectrum of “favorite foods”, and to do them well. The space feels upbeat yet relaxed, and the kitchen is open, so you can watch as your meal is prepared. Owner Dimosthenis Georgiou explains that it’s part of what they call “interactive cooking”. You’re encouraged to let your waiter know how you want your food – not just your steak, but any dish, as most things on the menu can be adapted to your taste. 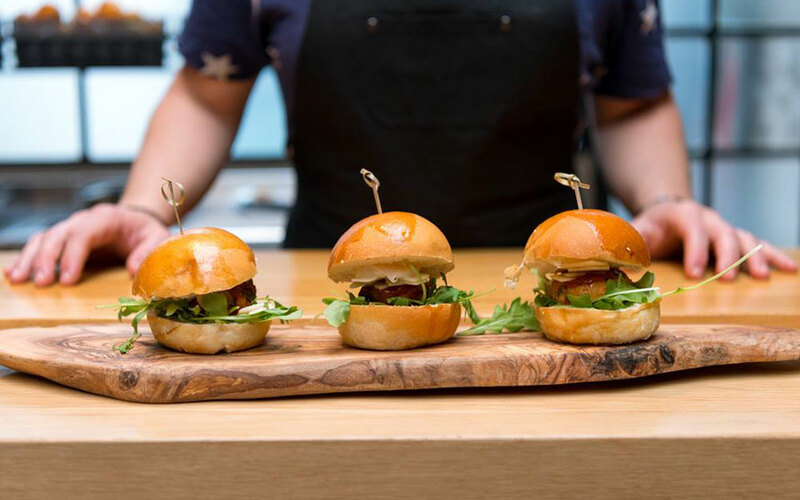 Try their famous chicken and waffles, or a burger, or the Stilton salad with chorizo. The bao buns with pulled pork are also delicious, and a little bird told us that they might soon add a seafood version as well. To take your meal to the heights of perfection, pair it with their Bloody Mary (“Bloody Penny”) or the “Thyme in the Yard”. At Corte, Akis Theocharis’ cocktails are paired with finger foods and classic brunch foods. 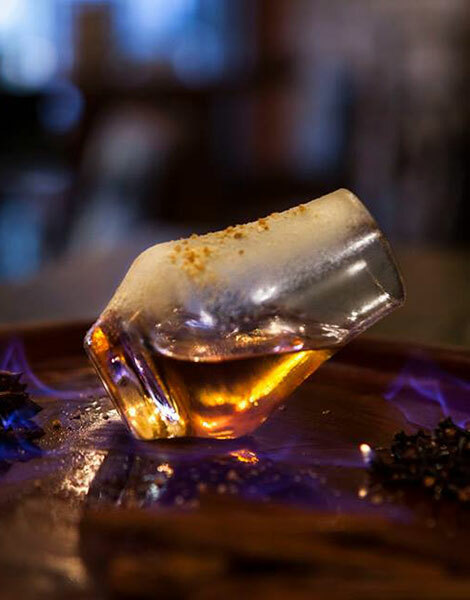 Try the Croque Madame, or the sandwiches with steak or pastrami, paired with the sweet and spicy “Dead Rabbit” cocktail, created after Theocharis’s visit to the famous Dead Rabbit bar in New York. 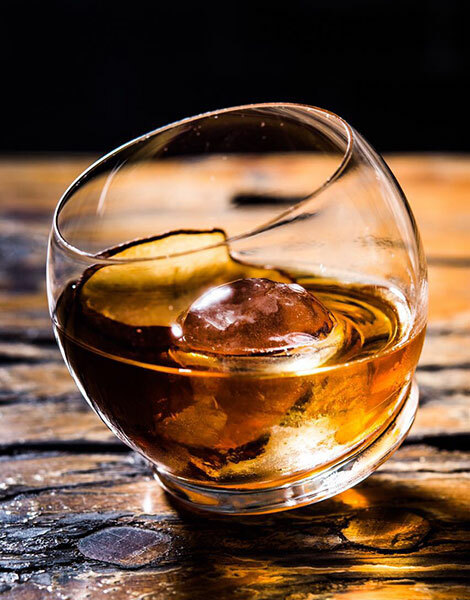 To continue with more quality cocktails, head to Theory Bar – a must visit in Halandri that, while having changed head bartender a few times since opening in 2013, has never failed to create a widely praised drinks menu. The recipient of several awards, dedicated customers agree that this bar is among the best in Athens. Indeed if there was an award for best cocktail bar in the suburbs, it would likely also belong to Theory (just as many prestigious awards are given to its sibling bars, The Clumsies and Odori Vermuteria di Atene). 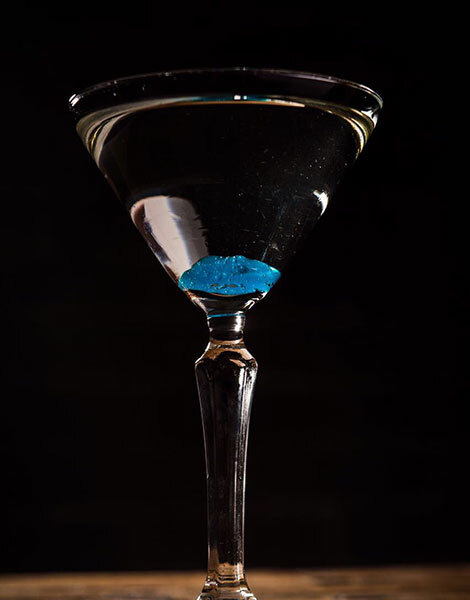 Pair their famous Black Angus burger or a steak sandwich with the whiskey-based Hermes, or the Poseidon martini with seaweed extract. As long as we’re talking burgers, it would be wrong not to mention Butcher’s Burger, on Aghias Paraskevis Street. 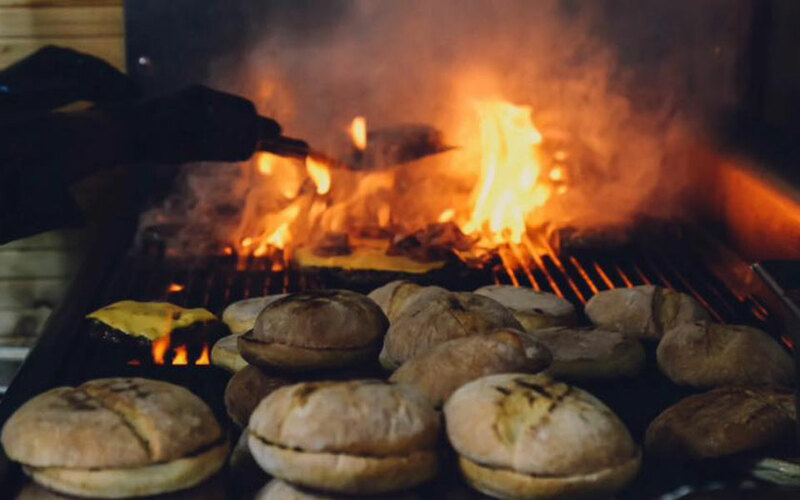 Serving burgers made from choice buffalo meat from Lake Kerkini, this is a carnivore’s paradise. At Velanidia, on Kolokotronis Street, fast food and comfort food meet in different ways. How does a pie stuffed with moussaka sound for a treat? On the other end of the spectrum is newly-opened Abbot. Just two months after opening its doors, visitors to Halandri have already found their way here. The food is not fast food or brunch oriented – but a different kind of comfort food. Owner Manos Galanos explains: “Greeks believe that gourmet food is just small, fancy and expensive dishes. To me – and others who know food – it’s comfort”. Here, you’ll find comforting, rich flavors in elegant packages at surprisingly reasonable prices. 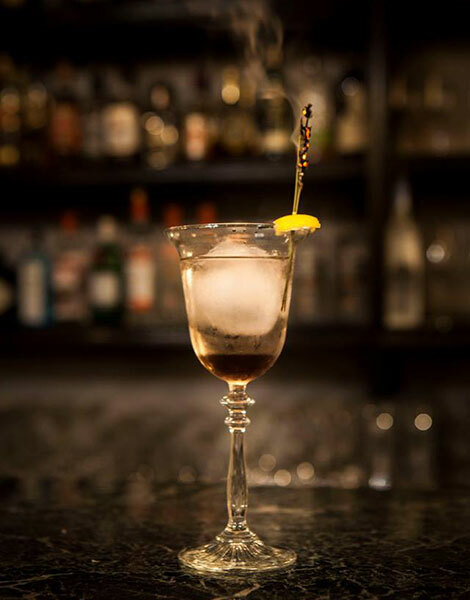 Pair your meal with the “Abbot’s” a cocktail made with Tanqueray gin, lavender and elderflower, and served with a smoking sprig of lavender. Alternatively go for their excellent Sazerac.